Aurrigo, the Australian subsidiary of UK driverless shuttle supplier RDM Group will receive up to $1 million from the Future Mobility Lab fund to trial a driverless cargo pod, transporting goods at the Tonsley precinct, with the aim of developing a market-ready autonomous delivery pod within a year. 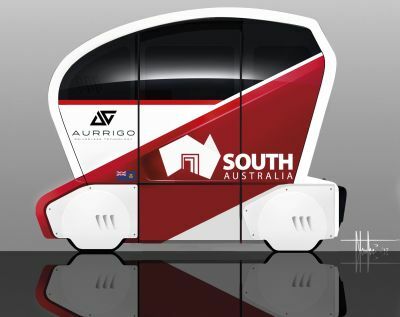 Aurrigo will utilise RDM’s “Pod Zero”, a four-person autonomous shuttle for the trial. Pod Zero is designed for short passenger or freight journeys, such as within industrial sites, residential communities or airports, its typical speed is 8 km/hour but it can reach 24km/hour. The Pod Zero’s Autonomous Control System (ACS) detects and avoids obstacles such as pedestrians, cyclists and stationary objects using sensors and on-board processing. The pod can be booked through Bluetooth, using a mobile phone app, and its powered by a battery pack that can be replaced in 10 minutes and recharged in less than three hours. The trial will enable businesses at Tonsley to test AVs as part of their local network or within their facilities and assist Aurrigo to develop other use cases for its Pod in South Australia, interstate and the region.